This window display caught my eye as a good representation of London's traditional fashions, albeit a somewhat iconic view. The large heads behind seemed to be disembodied from the mannequins before them. 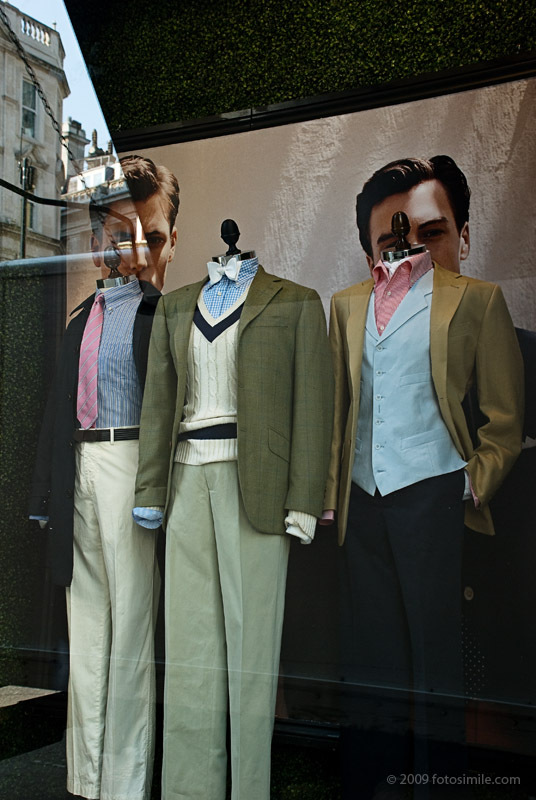 I had shot a similar window display in Glasgow in '97 of the infamous Harris Tweeds, and kept my eye open in London for a similar view to strike me. I've never really thought of myself as a "street photographer" of people, but these sorts of still life vignettes do catch my eye.